There is nothing more frustrating than trying to find a misplaced item. The pressure to find it increases exponentially when it is something really important – like a passport. Stop searching, sit down and think. There is a 99.9999% probability that the item is exactly where you left it. 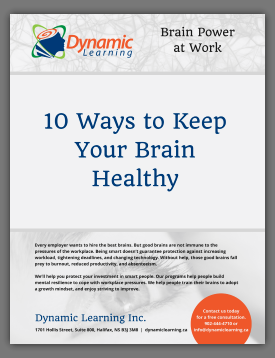 Here are some brain-friendly steps to help you find it. Stop imagining the awful things that will happen if you don’t find it. That distracts your mind away from the work you need to do with your memory to find it. Imagining awful consequences will stress your brain, decreasing your memory. Remind yourself in a friendly, optimistic way that you will find it soon because you know there is a logical reason why you haven’t found it yet. When you do find it, you will be relieved and amused. Take three deep, relaxing breaths and sit or stand exactly where you were the last time you had the item for sure. Keep your focus on that moment, look around slowly, and think about the next steps you took. Don’t let your mind run off into saying things like, “But I already looked there.” You have not found it yet because you have been distracting yourself with other thoughts and commands. Calm your mind and focus on where you were and what you were doing the last time you had it for sure. Identify the one most probable place you would have put the item. Look for it there. If you don’t find it, step back and look to see if it could have fallen somewhere, slipped behind or under something, or been covered up somehow. If you still can’t find it, sit down again to think. Remind yourself it is exactly where you left it. What were you thinking about at the time? Was there anybody else involved? Were you listening to your radio or TV? Did somebody phone you or drop in just at that time? Did you go out to your car? Were you cleaning up in a hurry shortly afterward? It is often helpful to actually re-live and act out the sequence of what you remember happened next. Your memory knows what happened next, it just needs you to trigger the reminder. Continue to work calmly with your memory. Remind yourself you are going to find it and it is better to keep concentrating on it now, than to give up and search for it later. Acknowledge that physical items do not vanish into thin air and rarely get stolen or deliberately hidden by somebody else. Guard against *fantastic* solutions and reassure yourself there is a logical reason why you have not found it so far. When you do find it, there will be a perfectly logical reason for it to be there. If necessary, revisit in your memory the last moment when you are certain you had it in your hands. Are you making any unchecked assumptions about where you were or what you were doing? Look in your planning calendar, talk to anyone who was around at the time, and re-create that moment. See yourself holding the item and mentally follow the scene that unfolds. Sometimes the search becomes too irritating. Then it is better to stop and turn your attention to something completely different. Sleep on it. Next morning, rested and with a fresh perspective, start again at step number two. Once you find the item, note the logic of where it was and recognize the assumptions you were making that stopped you from finding it sooner. I would love to know your lost and found story; please email me at epease@eileenpease.com or phone me at 902-483-5700. If you have faithfully tried every step above with no success, phone me and I will help you get your memory to tell you where your lost item is.